Here's a big welcome to the Rogers Family! Lisa had won a gift certificate that we had donated to Temple Emmanuel's annual fundraiser. 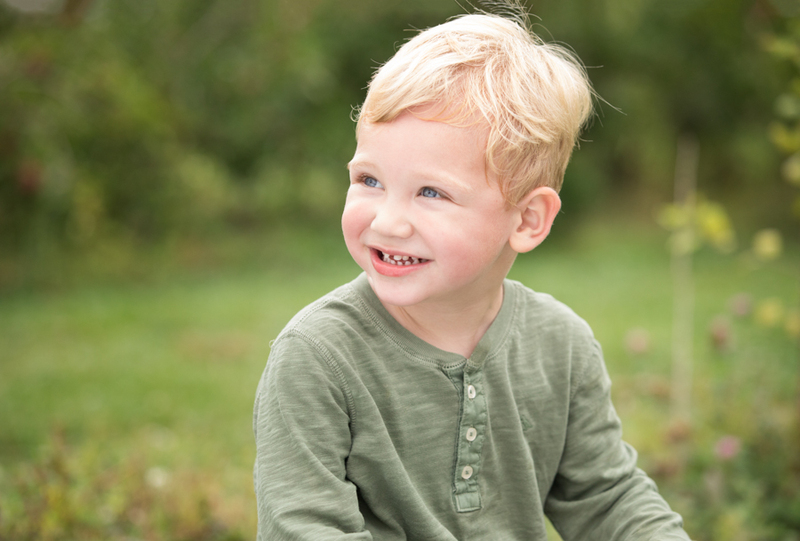 Her extended family came together at Smolak Farms in North Andover to have a photoshoot with 3 generations of family members. We settled down in the antique apple orchard. Lisa's family went first and her three boys and husband all snuggled in together. To get a good laugh out of the boys, we started making noises which no child under the age of 8 can resist. It was then their cousin's Emmett's turn with his Dad. He loves giving bear hugs especially to Dad. 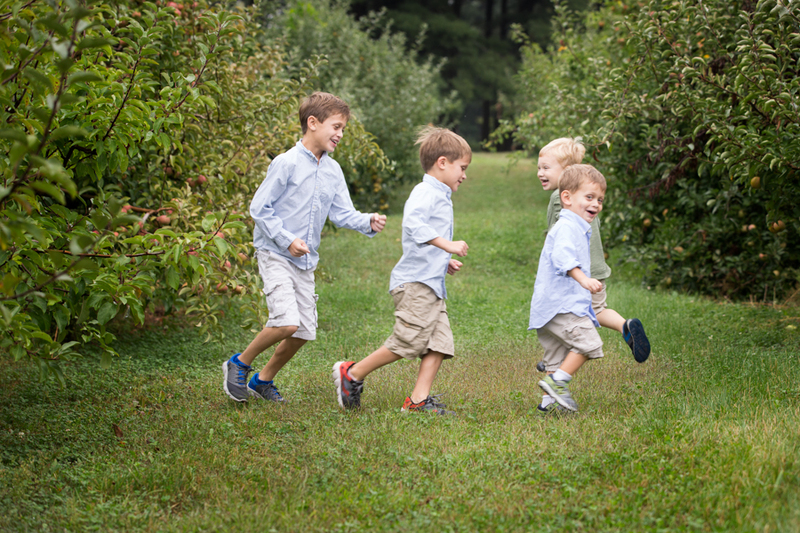 We soon rounded up all four boys for a cousin's picture. 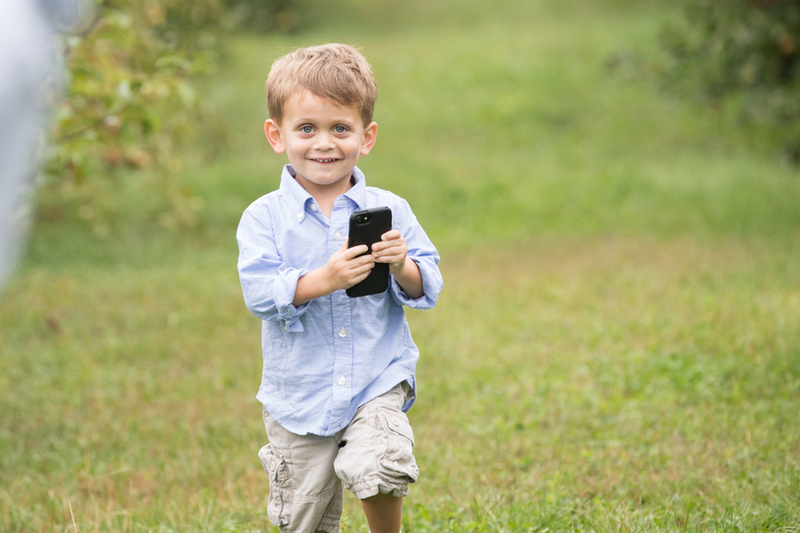 Brody, Lisa's youngest, is very serious for such a young age, but one thing that enthralls us all, including Brody, is our iPhones. 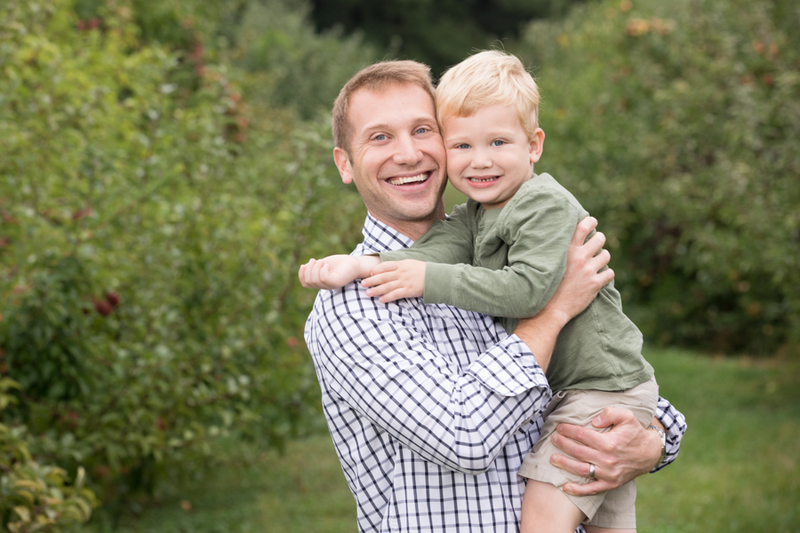 We got quite a few variations of Lisa's husband jumping out from behind an apple tree to grab the phone out of the shot so Brody would give us a smile, and the results were hilarious. 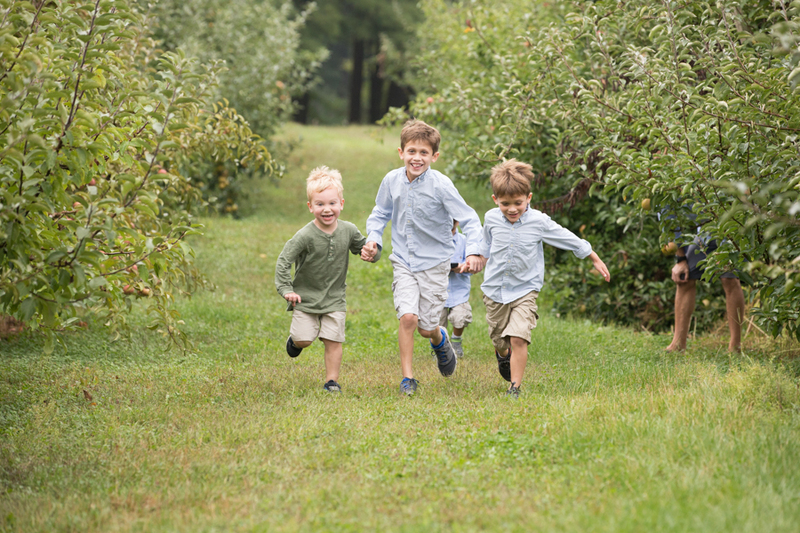 The boys were excited at the prospect of picking apples and each found their favorite. (Notice the adult male legs sticking out from behind one of the apple trees. Each chose a different one, finding big, small, green, and red apples. They showed us their finds for some pictures with their grandparents. However, it was too tempting to just hold their apples, and one by one each took a big bite out of their find. By the end of the session, we always like to let the kids run around a burn off some steam. Giggles ensued as we chased them (or I should say they chased us! ).